A service club in Charlottetown has been quietly working on more than a dozen projects in North Korea over the last 15 years. The relationship with the dictator-led republic began in 2002 when the Rotary Club of Charlottetown Royalty hosted a two-week mission from North Korean scientists researching potato storage and transportation. "In Korea at the time, they grew potatoes well because their climate is similar to ours, but they were losing 75 per cent of the crop because they didn't know anything about storage or processing," said rotarian Tom Wilkinson. Two agricultural scientists and a trade official came from North Korea and stayed with P.E.I. rotarians who helped co-ordinate farm visits and trips to research and processing facilities, as well as the Atlantic Veterinary College and the then-Nova Scotia Agricultural College in Truro. "That was the beginning of the forging of a partnership and friendship that's existed right up till today," Wilkinson said. 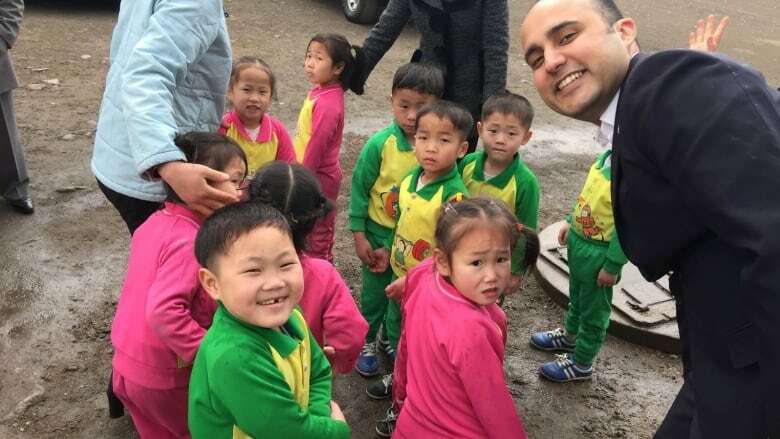 Since then, the club has provided food and vitamins to North Korean orphans, wheelchairs for children with disabilities, renovated an operating room in a children's hospital and helped deliver 2,300 shelters after a typhoon. The latest project, led by the Rotary Club of Charlottetown Royalty together with other rotary clubs in the Maritimes, installed a solar water heater for an orphanage of 523 children. Previously, they'd only had hot water two months of the year. It "became a great success and is now a model the government is using within the country," Wilkinson noted. 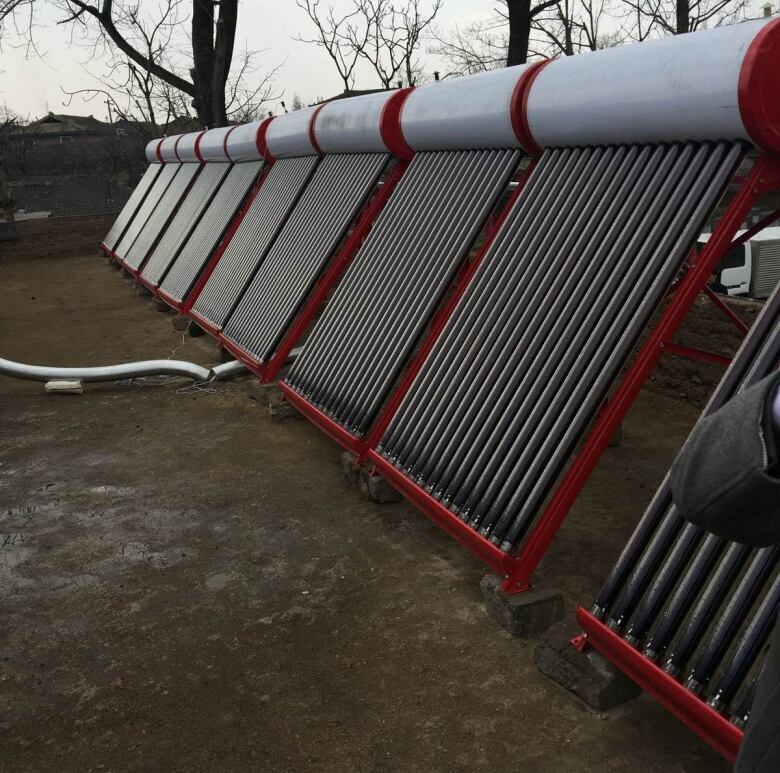 The solar heater was the first project the North Korean government partnered with the clubs, Wilkinson said, providing 27 per cent of the funds. "It's a question of building trust, all of it relating to peace and building understanding and a relationship," he said. "It's tough work, but we worked through friends and rotarians in China who help us a great deal with the logistics of everything." Some have questioned the ethics and wisdom of providing charity to North Korea, which has been testing weapons and threatening nuclear war against the U.S. — but Wilkinson said concerns for the needy there override all. "You can't have peace unless you have dialogue," he said. Some Canadian rotarians — none of them from P.E.I. — have travelled to North Korea to co-ordinate projects, he said, which he believes provided important opportunities for discussion. "A lot of it is by example, right?" Wilkinson said. "It's an educational process." Wilkinson vividly remembers one way his rotary club led by example — when the North Korean contingent visited in 2002, they were invited to a meeting with the club's board of directors, half of whom were women. "When they came into this meeting and saw women, they were quite shocked!" Wilkinson said. "It was an opportunity to explain to them the role of women in society in Canada ... That's how you teach, you teach by example and exposing people to new ideas." Wilkinson estimates the club has provided about $30,000 over the 15 years for the projects. There have only been a few cases that caused conflict, Wilkinson recalls. One involved a project in which the government refused to allow rotarians to travel to monitor progress — in that case, North Korea moved the project to another location where visitors were allowed. The other was a major fishing project for a village devastated by a typhoon. "When we went to do it, they wanted to move the project to another locale," Wilkinson said. He believes the area was close to a nuclear development in North Korea — that project was called off. The just-completed solar water heating project was almost co-opted by the government as a propaganda tool, Wilkinson said. "When we saw that we backed off and said no, we can't participate — find us a another orphanage in a rural area," Wilkinson said, and officials agreed. "You have to be very cautious when you're dealing in North Korea not to be drawn in."